Renting out property can be financially rewarding and a good way to generate an additional income. However, there are essential costs and legal obligations you’ll need to take into account. 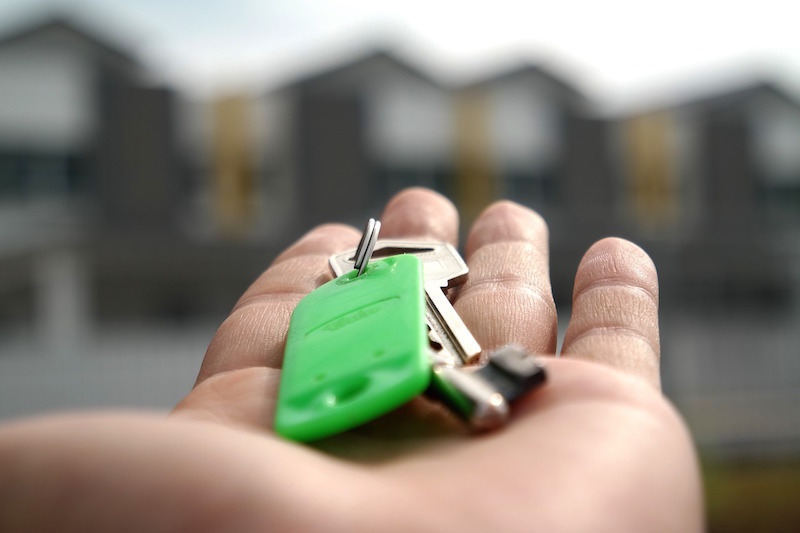 If you’re new to the world of rentals, have invested in a buy-to-let property, or just need a refresher to check you’re on the right side of the law, our complete guide takes you through how to register as a landlord, step by step. We look at the process itself, and how landlord insurance can help you meet some of the financial costs involved. Landlord registration is designed to protect tenants from bad (or ‘rogue’) landlords. The registration process collates up-to-date information about private landlords and their properties. This is used to make sure that tenants won’t have to put up with poor quality or unsafe housing. There are different schemes in place around the UK, so as a landlord you’ll need to check your local authority and make sure you comply with the requirements depending on where your rental property is located. Do I need to register by law? Currently, if you rent out property in Scotland, Northern Ireland, Wales, and in some parts of England, you will need to register as a landlord. If you’re a landlord in England you’ll need to speak to your local council to find out if registration is required in your area. Currently, landlords in most parts of England do not have to register, but there are plans to bring in registration schemes across the UK to keep the system consistent for all regions. To find out whether or not your local council in England requires you to register as a landlord, click here. “Wherever your rental properties are located, it’s essential that you understand the rules and regulations governing the private rental sector in that part of the country. This will not only protect you from facing hefty fines or further sanctions, but will also ensure that your properties are safe and comfortable for your tenants. How do I know if landlord registration applies to me? In Wales, you need to register with RentSmart Wales if you have a rental property that is rented on an assured, assured shorthold, or regulated tenancy. You’ll also have to apply for a licence if you undertake letting and management tasks for your rental property. If you are not involved in setting up tenancies or managing your property you don’t need a licence, but you must use a licensed agent and declare their name on your landlord registration. How do I register in Wales? To register online in Wales you need to create a personal account on the RentSmart Wales website. It currently costs £33.50 to register as a landlord. You can also register using a paper form. Call Rent Smart Wales on 03000 133344 if you need a copy sent to you. If you’re registering with a paper form, it will cost £80.50. There is no increase in price if more than one property is part of the registration. In addition, you’ll need to undertake special training to be able to apply for your landlord’s licence, which you can do online or in a classroom, Find more information or book courses here. All private landlords who want to let properties in Scotland must register. Even if you already hold a licence for a House in Multiple Occupation (HMO), you and your properties will still need to be on the register. Some local authorities may do this automatically, but you should always check first. If you’re an agent managing private rented property you are not obliged by law to register. However, you are encouraged to do so. In any case, you will have to be listed on the application of any landlord whose properties you manage. If you register independently it can give your clients extra reassurance that you are who you say you are. How do I register in Scotland? In Scotland, landlords are encouraged to use the online registration process. If you need help or cannot apply online, you should contact your local council. All landlords who let properties under a private tenancy agreement in Northern Ireland must register. However, if you rent a room to a lodger you won’t need to register as long as they are renting the room as a licensee, rather than as a tenant. How do I register in Northern Ireland? Online registration currently costs £70. If you register using a paper copy the fee is currently £80. You are exempt from paying the fee if you have registered a house in multiple occupation (HMO) under the House in Multiple Occupation Scheme. You may be required to register in certain areas. However, as not all areas of England require landlords to register, you’ll need to check with your local council to see if it applies to you. Even if you’re not required to register as a landlord you may wish to sign up for voluntary registration, such as those offered through the National Landlords Association or Residential Landlords Association. How do I register in England (if required)? Check if you need to register by contacting your local council. If you live in an area that requires landlord registration, or your rental property is located in a registration area, you won’t be able to rent your property until you are registered. If you try to rent out a property without registering you could be fined. For example, in Scotland, the maximum fine for renting a property without registering as a landlord is £50,000. You could also receive a five-year ban that prevents you from renting property. If you rent out property in a location that does not legally require registration, you can still opt for voluntary registration through the National Landlords Association (NLA). You will have to pay a fee, but in return, you will get access to lots of useful information and advice. Voluntary registration will also give your tenants extra peace of mind, and could make your property more appealing which, in turn, could improve its rentable value. How do I register through the NLA? If you join the National Landlords Association (NLA) you can apply for NLA Accreditation. This shows your tenants that you are a professional landlord. Membership currently costs £89 if you sign up online. You can fill in the form here. How do I achieve NLA accredited status? Alternatively, you can transfer your accreditation from another landlord development based scheme. You will need to download and sign the scheme rules along with providing proof that you are a member of a development based scheme that follows the same syllabus as the NLA. This can be in the form of your accredited certificate. Do I have to renew my landlord registration? If you are required to register by law, you will usually need to renew your landlord registration. What other essential paperwork do I need to complete as a landlord? Landlord insurance is there to give you financial peace of mind that your investment is protected. It covers damage caused by fire, flood or any other situation where the property is left uninhabitable or even destroyed. The right insurance means you can afford to make essential repairs and maintain safety standards as required by your landlord registration guidelines. Remember, standard home insurance is not valid if you rent the property out. What else can landlord insurance cover? Landlord insurance can help you to meet these obligations by paying out to put right any damage and bringing your property up to standard. Insurance can also cover your legal costs if a tenant sues you for injury or damage to their belongings. Unfortunately, thousands of pounds worth of damage can be caused to your property by your tenants on purpose or by accident. Landlord insurance covers you for any damage sustained to your property by your tenants, giving you added peace of mind. Finally, what does landlord insurance include? Some landlord insurance will also cover your rental income for a certain amount of time if your tenants fall into arrears. Now we’ve helped you to understand how to register as a landlord, why not talk to one of our expert team at Park Insurance to discuss your landlord insurance needs? With over 30 years’ experience in helping our clients find the best insurance at the best prices, we can deliver impartial, expert advice based on our unique understanding of your business. Find out more about landlord insurance and get a free quote today.